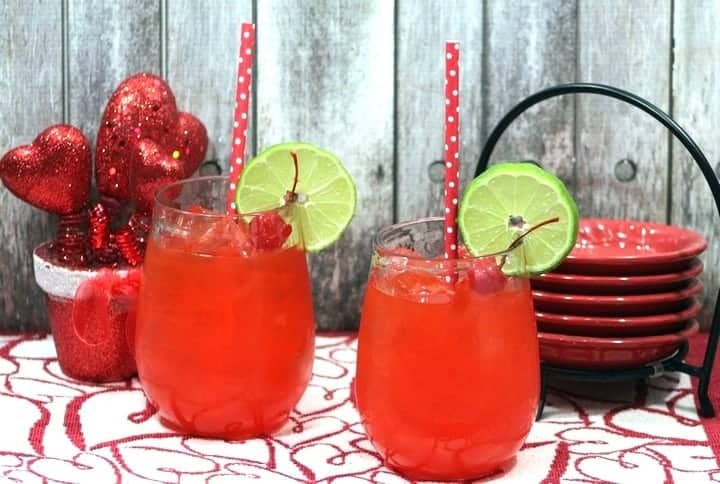 Looking for a fun Valentine’s Day drink for kids? 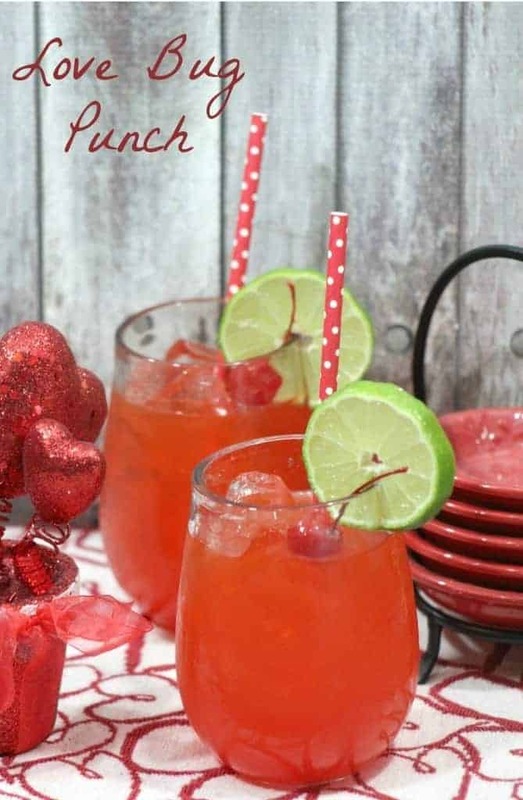 You’re going to adore our Love Bug Punch! It’s just perfect for surprising your children after school or for all those fun Valentine’s Day parties! Valentine’s day is my daughter’s favorite celebration. She is only 8, but she is very conscientious about love and the ways to show it to others. She covers me with kisses, hugs and cute valentine’s day crafts. In turn, I lavish her with nice homemade kid-friendly treats and easy drinks. You cannot imagine how excited she is when she comes from school and finds a new delicious treat for her. It is my way of showing her love. But instead of making the usual heart-shaped cookie for Valentine’s day, I decided to go with a valentine’s day virgin drink for kids. It can also be a great drink idea for your significant other on that special day (or any other day). Valentine’s day is a great way to celebrate the love but it is also nice to celebrate it on a regular basis during the year. It helps to keep the spark in the relationship. Isn’t it this valentine’s day drink for kids delicious? We gobbled it in no time, and we will make sure to make it again on that special day, along with this heart shaped cookie. A bit of sweetness on that special day is okay. After all, calories don’t count on Valentine’s day, do they? 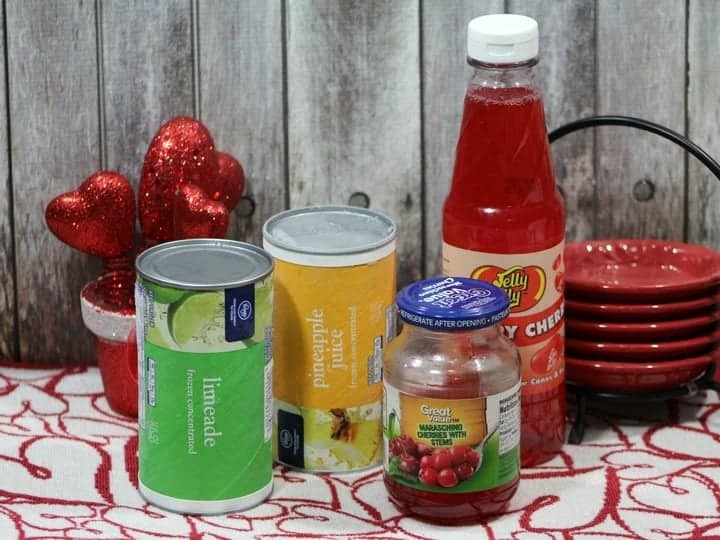 Do you have any favorite Valentine’s Day drink recipes for kids? How do you celebrate the special holiday? Tell me in the comments! Love Bug Juice would also make a nice cooler in the summer. Looks super yummy and the kids will love it! Visiting from Creativity Unleashed link party. Sounds pretty refreshing! Thank you for sharing at Merry Monday! This sounds pretty tasty – I’d probably enjoy it with the kids. 🙂 I love the presentation of the drinks in your photos – so lovely and fun! the kids will love this. I will have to grab some jelly belly juice and make them for them. Kids love special drinks like this. It’s perfect for Valentine’s Day! This looks awesome! I am trying to plan a little Valentine’s Day party for our family, and this will be a perfect addition! Sounds like a super yummy drinks for the kiddos!! We have a children’s reception coming up that this would be perfect for! Thanks!! Aw, cute name for a delicious little kids cocktail. My boys would enjoy this. Pinning! This looks like an amazing Valentines day treat for kids and adults alike. I think the adults would be trying to steal them off the kids lol! Looks so simple and yummy! The kids of any age will really love this. With some cute paper straws, can’t go wrong! I’m with Skye on this one ! I was signed up to bring juice boxes for the 4th Grade Valentine party but I think my daughter would be more impressed and get some street cred if I make this instead! Oh this is just perfect timing! I signed up for beverages at the daycare Valentine’s Day party and I think I’m going to bring this! Such a cute idea! It is great for kids, but since we don’t have any yet, we’ll have to add one more ingredient for ourselves ))) Love how you stylized it! Great recipe! My kids love juices and different recipe blogs inspire me to try different recipes out ! Love the way you have organized your post! This looks delicious and fun to make with kids. Those frozen cans of juice are such a good idea. I need to try this with my son!! I’m definitely going to make this for my grandsons. Their mom is pretty picky about what she let’ them drink, but this is a special occasion, right? I’ve been seeing so many cute ideas for Valentine’s Day! 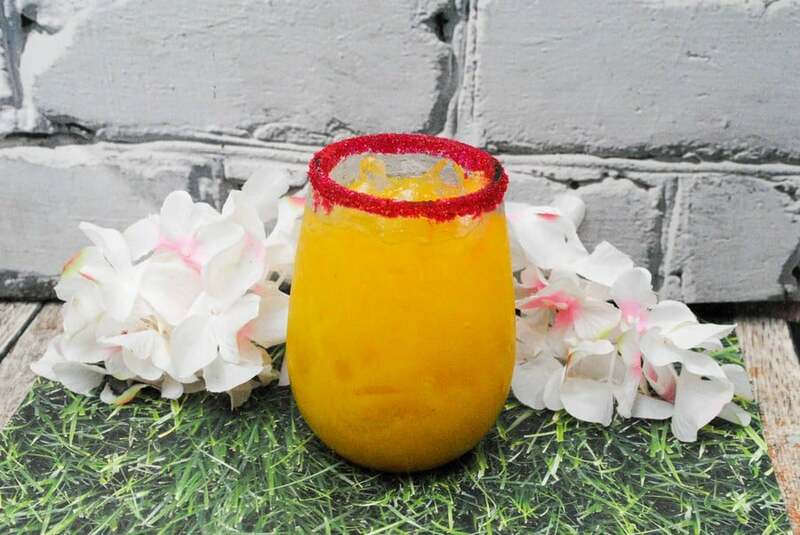 This drink has so many different flavors – it looks like it tastes delicious. Mmmm those look so sweet and tasty. I can’t wait to make this for Valentine’s Day. I’ve never heard of the Jelly Belly juice before. I wonder if my local stores have it. My daughter would think this were the coolest thing, especially if served in “adult” glasses. I bet this is pretty tasty. That’s such a cute idea, and you came up with such a great name! I’m sure kids would LOVE this at a Valentine’s Day party or school party! This is a great idea for my kids this Valentines day. I will have to get the supplies i need to make some this weekend. We are going to spend the evening watching movies together. Love Bug Juice sounds Delicious! I bet my kids would love this. What a great drink idea for Valentine’s Day.